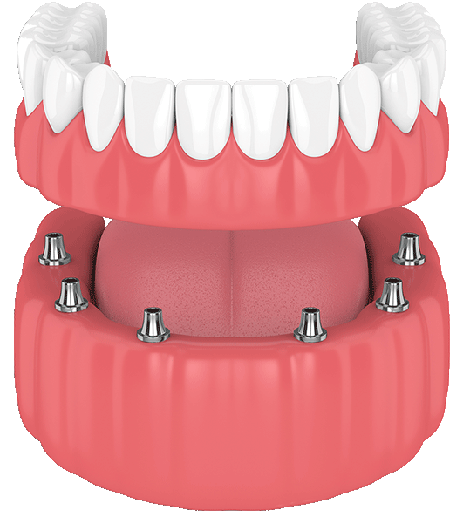 The CascadesONE Hybrid Implant System is the modern solution for full-mouth tooth replacement. Your new teeth will look, feel and function just like your own beautiful, healthy, natural teeth. 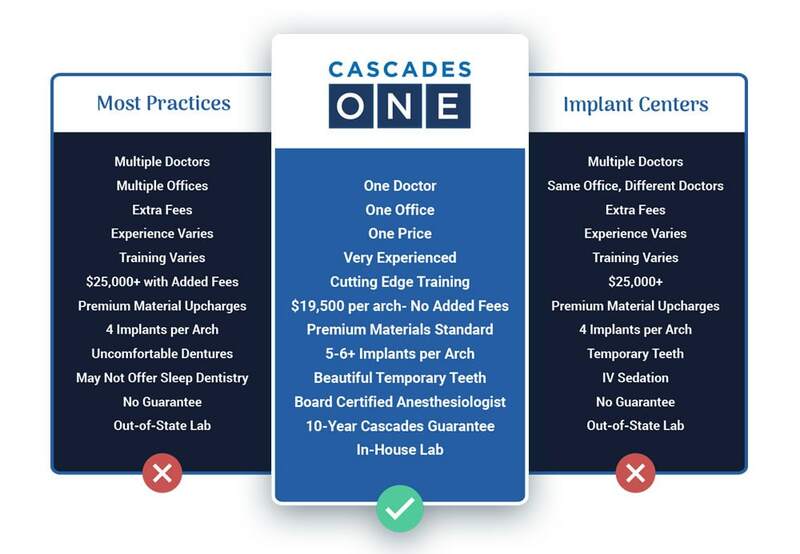 At Cascades, we make getting implants easy for you with our One Doctor, One Office, One Price promise. Dr. Ruparelia has the training, experience and skill to handle your entire treatment from start to finish. There's no need for you to waste time traveling all over town to different specialists in different offices.  Dr. R has built a brand new state-of-the-art implant facility that is designed to handle every aspect of your care. His cutting edge lab will produce your new teeth with laser precision right here on site. And best of all, you get the highest level of care, without the high price tag you'd expect. 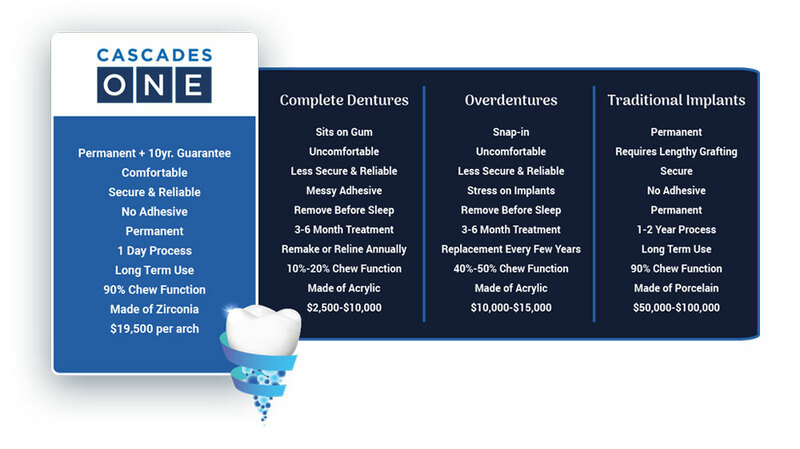 You'll save 40-50% and that one fee covers everything from start to finish - including lab fees, restorations, sedation, and a guarantee, with no upcharges for the highest quality materials available. No one matches that!